Our Optometrist offers eye exams and the highest level of eye care for your whole family. Finally enjoy the freedom of sharp, clear, comfortable vision! See if scleral lenses can help you. Our Eye Doctor specializes in using the most advanced technology in the treatment of Dry Eye Disease and Syndrome. At N2 Eyes Comprehensive Optometry we are committed to making registration easy and convenient for our patients. Known for our warm and caring ways, N2 Eyes Optometry focuses on pediatric eye care for infants, children and young adults. At our contact lens center we fit all individuals including those with corneal eye diseases, dry eyes, kerataconus and corneal transplants. You'll discover one of the largest selection of high quality, latest name brand frames and the best customer service around. Dr. Nathalie Cassis is specially trained in the treatment of eye diseases. With over 25 years of experience along with the latest instrumentation she can properly diagnose and treat vision problems and ocular disease. Serving all of your family's eye care needs. Dr. Nathalie Cassis provides quality eye care services and vision care products in Newport News and Norfolk, VA. The staff at N2 Eyes Comprehensive Optometry truly cares about the health of your eyes. We offer local vision care to all family members and are conveniently located near you in Newport News. N2 Eyes Comprehensive Optometry, your local contact lenses distributor and optometrist in Newport News and Norfolk, Virginia, specializing in eye exams, emergency treatment as well as the management of ocular diseases like Dry Eye Syndrome, cataracts, Glaucoma, Macular Degeneration & Diabetic Retinopathy. We are the local optometrist near you in Newport News and Norfolk, offering you and your family top quality eye care delivered with unsurpassed customer service. N2 Eyes Comprehensive Optometry accepts a number of Insurance plans to help cover the cost of your eye care needs. 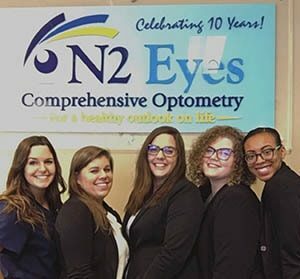 N2 Eyes Comprehensive Optometry provides unparalleled care to the Newport News community. Our optometrist treats every patient like family, taking the time with each patient to understand and care for all aspects of their eye health. We fit and stock contact lenses for virtually every age & condition, with the expertise for hard to fit contact lenses such as scleral lenses for Keratoconus, Ortho K for Myopia Control, lenses for severe dry eyes, & multifocal contacts for presbyopia. Dr. Cassis and the team at N2 Eyes Optometry offer competitive pricing, affordable eyewear packages, and multiple pair savings. You are welcome to take advantage of manufacturer rebate programs and promotions. N2 Eyes Comprehensive Optometry offers a wide selection of products as well as through custom orders. We only use the highest quality materials and will courteously recommend eyewear and contacts that fit your lifestyle and fashion – all within your budget. I have been a pt at N2Eyes for almost 15 years and enjoy the wonderful care by Dr. Cassis and her amazing staff. Dr Cassis and her staff as well as the office staff are top notch. My job contracts this office for all eye exams so I've been coming here ever since I was hired in 2011. Great people, very friendly, courteous, professional. Dr. Cassis is a very thorough optometrist. She knows her medicine in optometry. She's very personable, engaging, and disciplined. Great place to meet all your vision cares. Another yearly check up done & contacts ordered. It’s ALWAYS great to see Dr. Cassis & her team! Dr. Cassis & I realized I’ve been a patient of hers for 17 years! That says it all!!! Great doctor & great service!!! Thanks N2Eyes!!! It was great to see Dr. C again! We had a lot of catching up to do. Her staff was very patient, kind, and knowledgeable!!! I have been seeing Dr Cassis for many years and she is a very good Dr. She helped me through a severe eye problem to a regular yearly checkup now. She cares a lot about her patients. Her staff is friendly and helped me pick gorgeous eyewear today. This is a wonderful family office for all ages! Ray-Ban Eyewear. Through simplicity, detail and vintage style, Ray-Ban puts a fresh contemporary interpretation on classic design to appeal to a higher sense of fashion. Ray-Ban has reinvented their Aviator and Wayfarer models styled to appeal to their next generations of wearers. Dr. Cassis will meet with you to evaluate your vision and lifestyle needs thoroughly. After a comprehensive eye exam or contact lens fitting, she’ll work together with you in our Newport News Eye Care clinic, to figure out the best strategies and contact lenses for you. We’ll introduce you to a whole range of of the most up-to-date contact lenses using the latest most state-of-the-art technology. 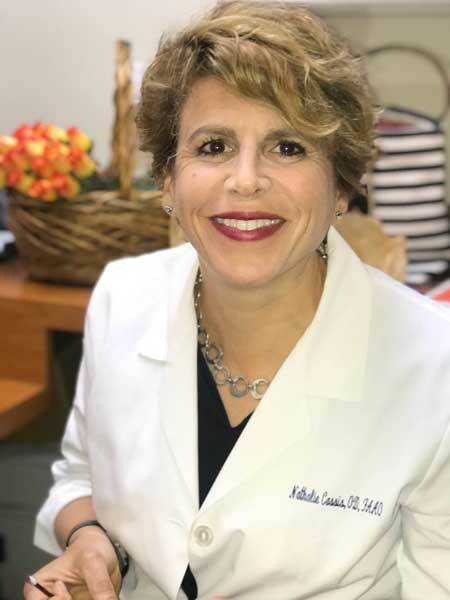 Typically, Dr. Cassis will prescribe scleral lenses for patients with keratoconus, corneal dystrophies and degenerations, and in the case of corneal scarring. 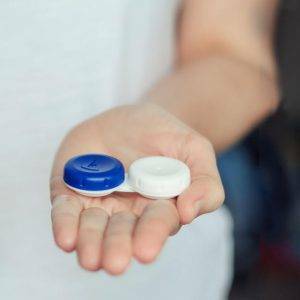 They are also helpful for people with severe dry eye syndrome, chronic inflammatory conditions, Sjorgen’s disease and other conditions. Patients who have tried scleral lenses report that they are excited to finally enjoy sharp and comfortable vision! Scleral lenses can also be the ideal solution for those with a vision prescription which exceeds the standard parameters of soft contacts. Sitesavers, Against Malaria Foundation, Charity: Water, and For Kids. 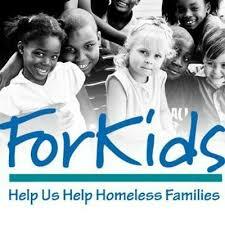 Thank you for helping us to give back! Do I need a Contact Lens Fitting & Eye Exam? Do you wait until you notice a problem before visiting N2 Eyes Comprehensive Optometry for an eye exam? Or do you schedule routine check-ups? Many people are not aware of how important it is to have regular eye exams. In fact, it is the most dependable way to preserve your long-lasting eye health and quality vision. Don’t make the mistake of waiting until you have a complaint about your vision before reserving your comprehensive eye exam. Many people love the convenience and quality vision of contact lenses. If you are interested in wearing lenses instead of eyeglasses, we’ll help you with all that you need. At N2 Eyes Comprehensive Optometry, our eye doctors will examine your eyes to determine if you’re a good candidate for contacts, and we’ll fit you with the best type for your visual requirements. We offer comprehensive eye exams and contact lens fittings in our offices located conveniently in Newport News and Norfolk, Virginia. Expert vision care provides much more for your eyes than eyeglasses and contact lenses! Our N2 Eyes Comprehensive Optometry optometrist will examine, monitor, treat, and manage your ocular condition – so you reap all the lifelong benefits of lasting, quality vision. When it comes to choosing the best eye clinic for your family, you need to make sure that all your vision and eye health requirements are satisfied. Your healthy eyes and sharp eyesight are our mission. At N2 Eyes Comprehensive Optometry, we excel in providing a complete range of professional eye care services! From fitting you with a new pair of designer eyeglasses to managing eye disease, you’ll benefit from top-of-the-line treatment in our Newport News and Norfolk, Virginia, office. Our experienced and knowledgeable eye doctors, are dedicated to promoting crisp vision for local Newport News patients.